Frances finds a handbag on the New York subway and promptly returns it to Greta, an eccentric French piano teacher who loves tea and classical music. Having recently lost her mother, young Frances strikes up a seemingly harmless friendship with the lonely and kindly widow who enjoys her company. 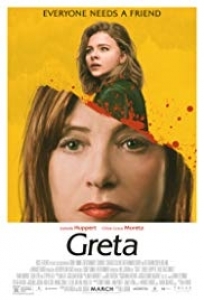 But when Greta's behavior becomes increasingly erratic and obsessive, Frances does whatever it takes to end the toxic relationship before things spiral out of control.